Lisha: Hey, Willa. Has it really been almost a year since our last blog post? Willa: It has! Hard to believe, isn’t it? It’s so nice to talk with you again! Lisha: Oh, it’s such a joy to chat with you again, Willa. Willa: I’ve really missed it. You know, whenever we dive deep into Michael Jackson’s work and just immerse ourselves in it and discover how profound and revolutionary it is, that feels so nourishing to me. There’s nothing else quite like it. And I strongly believe we need Michael Jackson now more than ever! But at the same time, I think we really needed to take some time off, take a step back, and kind of regroup and reevaluate. Lisha: Well, I know I did. To be honest, being an American citizen feels like a full-time job right now, with all the non-stop political chaos. It’s difficult to process it all. Willa: I agree. Just listening to the news on the radio is exhausting. But for me, something else has been going on too. This election and some of the terrible things that have happened since have really forced me to go back and question some of my assumptions. For example, looking back I realize that one of the founding beliefs of this blog was that racism and other types of prejudice have diminished significantly in recent decades, and that Michael Jackson played an important role in bringing about those changes. I still believe that’s true in some respects. For example, younger people seem to be much more accepting of interracial relationships than previous generations. They’re also less homophobic, and less threatened by difference in general. But at the same time, I see deep systemic injustices that are not being addressed, and in fact seem to be getting worse. I guess what I’m trying to say is that, when Obama won the election, I felt so hopeful that we were at last becoming that “more just society” Martin Luther King envisioned so long ago. And I really believed Michael Jackson helped bring us there. But now those hopes seem premature. It was so easy to make rosy declarations about social change when Obama was president! It’s much harder to do that now. Lisha: I agree. I keep thinking about how the first woman president would have wrapped such a nice, neat, little bow around the Obama years and all my optimistic ideas about how the culture is moving forward, even if it isn’t as far or fast as I would like. Now I find myself questioning that whole premise, wondering, is the culture really moving forward at all? It’s heartbreaking. Especially today, on the 50th anniversary of Dr. King’s assassination. Here’s a sobering article I read recently about the 1968 Kerner Commission on civil rights in the U.S. A 2018 reexamination of their original report shows that any gains we’ve made since 1968 have either stalled or been completely reversed. Willa: Wow, that’s a really painful article. But I have to say, it corresponds with what we’ve been hearing in the news. It’s heartbreaking, as you say. Racism in particular has been woven into the fabric of America since before we became a country, though with important advances and regressions, and this feels like a time of regression. But maybe that’s not true – maybe it’s not so much a step back as simply making visible what was hidden before. There have been a number of news articles suggesting that one effect of this election has been to embolden people to declare prejudices they felt the need to keep hidden before. That would suggest that racism hadn’t receded in recent decades, but just gone underground. If that’s true, then maybe what we’re going through now is a painful but necessary phase to finally root out and address that latent racism. Maybe. But it’s also true that if you look back at American history, every step forward – whether it’s racial equality or women’s suffrage or workers’ rights or environmental awareness and protections or any major advance – has been followed by a backlash similar to what we’re seeing now. And this does feel like a backlash to me: a violent reaction to fundamental changes that really have taken place, politically and culturally. I keep telling myself that – that I need to take the long view and not get caught up in the day-to-day drama of the current White House – but it’s so disturbing to see what’s happened in the past year, and how much ground has been lost on so many fronts. I wonder if that’s one reason Michael Jackson never gave much credence to politics, and instead tried to bring about change through his art instead. Lisha: I’ve thought about that a lot recently, especially in relation to the early years, before the Motown signing, when the Jackson 5 were freelancing in the Gary/Chicagoland area. This was one of the most politically charged eras in American history, and it reached a boiling point in Chicago in 1968, about the time the Jackson 5 started really picking up some steam with their regional hit, “Big Boy,” on the Steeltown label. Willa: That’s true! I never put that together before, Lisha – that the Jackson 5 would have been traveling around Chicago that summer when everything blew up. Lisha: Yes! For those who aren’t familiar with that area, Gary, Indiana, is very much a part of the Chicago metro area, even though it is across the state line. And by 1968, the Jackson 5 were appearing in some of Chicago’s most successful black venues, like the Regal Theater, the Capitol Theater, the Central Park Theater, and the High Chaparral Lounge. But Chicago was also a pretty tumultuous place to be in 1968. For example, there are reports that the Jackson 5 performed at a South Side night club, the Guys & Gals, on April 6, 1968, as the city erupted in violence in response to the assassination of Dr. Martin Luther King. The rioting was so intense that the National Guard was brought in to respond to all the fires, shootings, and looting that occurred that weekend. Willa: Wow. I wonder how aware Michael Jackson would have been about that? He turned 10 that summer, and he doesn’t seem to have been shielded much from harsh realities as a child. I’m sure he would have known about the assassination of Dr. King and some of the unrest that followed all around the nation. I wonder if he realized what was happening right there on the streets of Chicago? Lisha: I don’t see how he could have avoided it. Especially since he was working in Chicago, where the response to Dr. King’s death was so intense. Fortunately, I think the Jacksons probably escaped the worst of the violence that occurred later that summer – the apocalyptic “Battle of Michigan Avenue” leading up to the 1968 Democratic National Convention – because there’s a gap in their performance schedule at that time. My guess is that’s when they made their annual trip to Arizona. There was a really good article about this recently in Phoenix Magazine, describing the Jackson family vacations in Arizona. If they did manage to escape Chicago in August of 1968, it would have been great timing, given all the chaos back at home. Willa: That’s really interesting, Lisha. From that article, it sounds like they definitely went to Arizona in 1966 and 67, and several times after that as well. And you think they may have gone in 1968? It’s certainly possible, though 1968 turned out to be a pivotal year for them. They might have been too busy to go! Lisha: You are absolutely right! I’m just guessing because we know that the previous two years they made the trip to Winslow, Arizona, around the same time. 1968 is the year that their grandparents moved from Winslow to Phoenix, so that would account for why people in Winslow didn’t see them that summer. Willa: Oh, that’s a good point. I didn’t think about that…. Lisha: Anyway, as you say, it’s quite possible they went elsewhere – or maybe they were just at home in Gary, enjoying some time off before school started back up. A lot of my interest in this early period stems from some outstanding journalism the Chicago Reader’s Jake Austen did back in 2009, digging into the Jackson 5’s early history. It’s a riveting story. Contrary to the myth that the Jackson 5 were plucked from obscurity by Motown records in 1969, Austen shows how the Jackson 5 were actually climbing their way to the top of a very vibrant black music scene in Chicago, appearing on local television, radio, and in some of the city’s most popular live venues. Willa: Yes, it’s so interesting to read about what they were doing in those early years! I had no idea about any of this, Lisha – about how often they were performing in Chicago and how involved they were in the Chicago scene – until you shared some of your research with me a couple of years ago. I think some critics think Michael Jackson was exaggerating when he talked about how hard he worked as a child, but the evidence Jake Austen has uncovered supports him. As is often the case with a so-called “overnight success,” it took a lot of hard work and determination to bring about that success. Lisha: That’s so true. In fact, there was so much going on in those early years, even Michael Jackson gets some details wrong in his book, Moonwalk. Perfectly understandable given his young age! Willa: Really? I didn’t know that. What are some of the things he gets wrong? Lisha: Well, Austen shows how Michael Jackson seems to conflate events, like the marathon recording session he did for Steeltown Records at Sunny Sawyer’s studio in Chicago, with post production work he observed in Gary, Indiana, “on Saturday mornings after watching Roadrunner cartoons.” More significantly, Michael Jackson seems to have completely forgotten about the work he did in 1967 at One-derful records on Chicago’s Record Row. That’s a huge story, for many reasons. Chicago birthed a number of important developments in popular music: Chicago Blues, Chicago Soul, and many key moments in early rock-n-roll. By the late 1950s, legendary artists like Muddy Waters and Chuck Berry were recording on a 12-block stretch of S. Michigan Avenue known as Record Row, a beehive of small independent record labels that specialized in R&B. These record companies sprang up mostly in response to the major record labels either undervaluing or neglecting this music altogether. 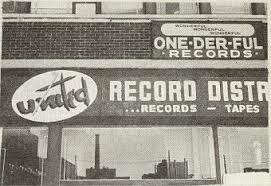 Many of the amazing artists on Record Row would provide inspiration for generations of musicians to come. For example, the Rolling Stones recognized the importance of the Chicago R&B scene early on and went to Record Row to study with their idols at Chess Records. Willa: Yes, they did, and they treated it like a pilgrimage … almost like they were visiting a holy place where American music sprang forth. Lisha: So true! They even recorded a song titled “2120 S. Michigan Ave” in homage to the studio. Willa: And to give the Rolling Stones their due, blues musicians didn’t receive much recognition in America until the British invasion groups acknowledged them as the incredible artists they are, and pointed to them as the forefathers of much of their own music. It’s the old story of prophets not being accepted in their own hometowns, I guess. It took the outspoken admiration of British groups like the Rolling Stones before white American audiences started to wake up and appreciate some of the early blues artists who had been ignored and overlooked before. Lisha: That’s right. British musicians quickly recognized the significance of Chicago R&B and rock-n-roll, when American records started making their way to port cities like Liverpool, England, via American military ships. Both the Rolling Stones and the Beatles cite Chess Record’s Muddy Waters and Chuck Berry as strong influences. The Beatles also claim Elvis Presley as an early inspiration, but we know Presley got his start by simply covering Arthur Crudup, an earlier Chicago R&B artist whose “That’s All Right” was recorded in Chicago at RCA Victor in 1946. Some have argued that Crudup’s “That’s All Right” is the earliest example of rock-n-roll, although Presley often gets the credit for being an early rock-n-roll pioneer. Other early rock-n-roll artists like Little Richard and Jackie Wilson recorded on Record Row at Brunswick Records, located at 1449 S. Michigan, in the same building that housed Vee-Jay Records, the company that gave the Beatles their first U.S. distribution deal. And then we find out Michael Jackson was in development just down the street at 1827 S. Michigan, home of One-derful Records, where the Jackson 5 recorded a forgotten early version of “Big Boy.” That’s a lot of music history happening on a single city street, and we haven’t even scratched the surface! Willa: It really is! In the 1950s and 60s, Chicago’s Record Row was pretty much the center of the recording industry universe for “black music,” and therefore white music as well since many of the biggest hits of the time were “white” covers of “black” songs released from Record Row. Lisha: That’s a crucially important point. As the major record companies underestimated the appeal this music would have outside the black community, independent labels started generating big hits that crossed over into white markets, so the majors quickly put out cover records to cash in on the trend. Willa: Yes, but radio waves go everywhere, not just to black houses or white houses. Lisha: That was the key! As people heard how compelling this music was over the airwaves, it created huge demand for the records and that included white teenagers, who had disposable income to spend on recorded music. Willa: Yes, and that’s another important point, Lisha. This was the beginning of the rise of youth culture in the U.S., with teenagers having access to cars (and car radios) as well as money to spend, and it caused a very real fear in some quarters – especially since a lot of these white kids really seemed to like the music coming from Record Row. So some people, especially in the South, put a lot of energy into deliberate attempts to keep the music segregated – in part because, as Michael Jackson said many times, music is such a powerful force for bringing people together. Lisha: I think that because music both reflects and potentially drives the culture, you can see that when musical divisions are destabilized, it threatens social divisions as well. Lisha: Many white parents were anxious about their children consuming music previously marketed as “race records.” So the knock-offs addressed that anxiety and proved to be wildly successful at market. But that meant the true innovators of this music were never properly recognized or fairly compensated for their work. Cover records outsold the originals many times over, and intellectual property rights were commonly signed over to the record companies in those days. Willa: That’s true, and that’s something else Michael Jackson talked about a number of times – for example, in his protests against Sony. So here’s a really good documentary that talks about Chicago’s Record Row and the crucial role it played in this formative period in American music. About 20 minutes in, it talks about efforts in the 1950s to keep keep white teenagers from listening to these new black artists by having white artists cover their music, sometimes practically note for note. I love this documentary! And for me the big takeaway is simply all the energy and excitement and creativity on Record Row at that time! This really was the center of the music industry, like Hollywood for the film industry, and it’s incredible to think that a very young Michael Jackson was right there too, taking it all in. Record Row – Was produced by WTTW in Chicago (PBS) and aired in February 1997. I happened to tape it. Lost my tape a few months ago and then discovered that Record Row had disappeared from the earth more or less. Found one copy in a small college’s library somewhere in the south but not available for loan. Called WTTW and they disavowed ever having produced Record Row! Obviously no VHS or DVD’s for sale! But this is an important historical document. I bring that up to emphasize how difficult it is to find information about Record Row, and how precious it is when something does turn up. It really feels like an important part of American music history is being lost. Lisha: Musically speaking, it seems like Chicago has been hiding its light under a bushel for decades. Lisha: Whoa! That is the coolest clip ever, Willa! Willa: Oh, it just does my heart good to watch this! And it’s fascinating if you think about the chronology of voices in this clip. It begins with Buddy Guy singing a song reportedly by Robert Johnson, though no one knows for sure. He recorded the first known version of it, but it’s never been clearly documented whether he wrote it or not. It’s then picked up by a wonderful singer I don’t know – do you, Lisha? So looking at the credits of In Performance at the White House: Red, White and Blues, which was taped in the East Room of the White House, I see that the spectacular female vocalist we are so curious about is Shemekia Copeland, and she is the daughter of Texas Blues guitarist Johnny Copeland. I’m an instant fan! Willa: Thank you for tracking that down, Lisha. I love her voice! It’s nice to put a name with it. So after Shemekia Copeland, Mick Jagger sings a verse, and then Buddy Guy insists Obama take a turn. (“I heard you singing Al Green!”) And Obama does sing! He also holds the microphone out for B.B. King to sing a phrase before coming back in. It ends with many different voices joining together. I have to say, I just love this clip! And in some way I can’t explain very well, it encapsulates everything I think about the role of music in bringing about social change. Lisha: I love it too! There is something about this music that makes me so proud to be American – just obnoxiously so. It’s as if racial divisions fall away in musical moments like this, and we all just become Americans. It’s amazing to me how national identity and music are so closely bound together, and this music so perfectly captures what I think of as American music. Pretty interesting when you consider how this music was devalued and marginalized historically, yet it ends up defining a nation. Maybe that’s why it’s such a thrill to see it celebrated at the White House in such a meaningful way? Willa: That makes a lot of sense, Lisha. I feel a sense of pride and belonging also, though I wasn’t able to explain it as well as you just did. There’s just something so uplifting about hearing all these talented musicians come together and celebrate this distinctly American style of music! But there’s also something very special about the way the song is picked up and carried by one voice after another in this clip – from Buddy Guy to a chorus of voices at the end, with nods along the way to Robert Johnson and B.B. King and even the Rolling Stones – that almost seems to trace the history of American music, and especially Chicago Blues, in compressed form. Looking at it in a more symbolic way, it’s pretty profound what’s happening on that stage. Lisha: Wow. Now that you mention it, I can see this performance as being like a map of the human history of this country, representing centuries of struggle in a musical way. I mean, you have the stringed instruments and Western harmony that were imposed on this land by European conquerors, the enslaved peoples who took it and made it their own – only to send it back to Europe where it is admired and copied and returned to us via the British musical invasion. Willa: Represented by the hand of Mick Jagger taking the microphone for a verse and then passing it on to Obama. Lisha: Oh gosh, you’re right! Willa: It’s pretty amazing, isn’t it? And then, the sheer fact that Obama joins in and plays a role in carrying the song forward, and that this is all happening at the White House at the invitation of the first black president, really drives home the connection between art and politics, and the role of music – particularly the music of Chicago and Record Row – in changing public opinions about race. This clip is just amazing to me, on so many levels. Lisha: I agree with you. I think I’ve already hit replay about 10 times! It’s like a musical snapshot of the whole story. I think what we’re learning here is that making music in and of itself can be a very powerful political act. Also, I’m starting to think Chicago is a much bigger part of the Michael Jackson story than we previously imagined, both musically and politically. Lisha: … at a pivotal moment in history. 1968 marks the end of the Civil Rights Movement proper with the assassination of Dr. King and the final legislative achievement of the movement, the Fair Housing Act. When Michael Jackson steps onto the world stage the following year, in 1969, it is the beginning of the post-civil rights era. And he remains highly visible for the remainder of his life – until 2009, when President Obama is sworn into office. Willa: That’s true. And it seems really significant that Michael Jackson’s career is bookended in that way – by Martin Luther King on one end and President Obama on the other. We need to look at that further – that seems like a really important conversation to have. But it’s also important to look at Gary, and the surprising role it played in the Chicago music scene…. There’s a lot to talk about!